The business aviation industry appears poised for growth this year as the U.S. “leads the way” to a fuller recovery, according to two analysts contacted by AIN. 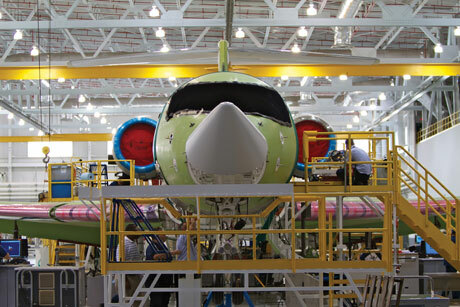 Teal Group vice president of analysis Richard Aboulafia is “cautiously optimistic” that business jet deliveries and billings will climb this year, while Brian Foley of Brian Foley Associates is more bullish. Both analysts cite several key leading indicators that continue to trend in positive directions as the reason they see growth for business aviation this year. These indicators include lower used business aircraft inventories, rising aircraft utilization, increasing worldwide GDPs, strong stock markets, record corporate profits and continuation of low U.S. taxes.